Planning a cruise can be quite daunting at times. You want to make sure everything is taken care of ahead of time so you can relax on your vacation. Given the many variables involved, it can be quite stressful setting up every aspect of your tropical getaway. Good thing we’re here to help. We’ll walk you through each and every step of setting up your dream cruise vacation. Where do you want to go? Port Canaveral cruises sail to a variety of locations. A few routes include the Bahamas, Panama Canal, Southern, Eastern and Western Caribbean, and even the Atlantic. If you’re someone who loves to explore and tends to get cabin fever, you’ll want to choose an itinerary with plenty of port stops. Between Carnival, Disney, Royal Caribbean and Norwegian Cruise Line, there’s sure to be a tropical paradise that sparks your interest. How long can you get away? Depending on the cruise line, you can choose trips ranging anywhere from 3 to 20-days. Your destination is usually impacted by how long you’re able to spend at sea, so keep that in mind when choosing the length of your cruise. You may limit yourself if you’ve only got a few days to squeeze in your whole vacation. What’s your budget? Cruises have a wide variety of price points that swing significantly with seasonality. These rates also fluctuate based on cabin location and ship amenities. Note that the prices you see on advertisements are often for a small inside cabin without any windows. Planning on spending a lot of time on the ship relaxing? Then you’ll want to splurge on a larger cabin or even a balcony. 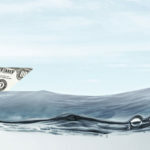 On the other hand, if you’re one to hop off the boat everyday, then you may want to settle on the smaller room and save your budget for excursions. What’s your cruise personality? Cruises each have their own unique personalities that appeal to different types of people. Are you a foodie, fitness lover, night owl, entertainment enthusiast or just a cruiser looking for some adventure? You’ll want to do some research on your cruise line to make sure you choose the right fit for you. Are you bringing the kids? If you plan on bringing the kiddos, you’ll want to take that into consideration when choosing a ship. Although Disney is definitely top dog when it comes to kid-friendly cruising, Royal Caribbean and Carnival are also leaders in family-friendly cruising. They both have onboard children’s areas, water parks, family pools and other kid-friendly amenities. Norwegian Cruise Line is better suited for families with older children who will appreciate their “freestyle” approach, teen clubs, outdoor sports courts and musical venues. There’s a lot more to planning your perfect vacation than picking out your cruise ship. You also have to think about how you’re going to get to the terminal. Are you planning on driving or flying in? Either way you’ll want to arrive a day early. Flight delays are a common occurrence these days and traffic can be unpredictable. You’ve spent all this time picking out your ideal tropical paradise, why run the risk of missing your vacation when you can simply spend the night. So save yourself the stress of trying to catch the boat and arrive at least a day before embarkation. Giving yourself a buffer for travel purposes will ensure your ship won’t set sail without you because you’re caught in traffic or stuck at the airport. If you’re booking a flight, you’ll also want to consider arranging cruise transfers in advance. A cruise transfer is the transportation that is going to get you to and from the airport, hotel, cruise port or parking lot. Shared shuttles are way more economical and can save you some serious cash. A cab fare from Orlando International Airport to Port Canaveral can cost a small fortune, upwards of $134 one-way. Considering you’re going to have to get to and from the airport and possibly even a hotel, it adds up quick. Starting to get overwhelmed with the planning process? Not to worry, we’ve got you covered on this step. Whether your driving or flying in, Go Port Canaveral offers hotel packages that include everything you’ll need. You can set up a Fly Snooze Cruise package including hotel stay and transportation starting at $96. That’s less than the cost of that one-way cab ride! Of course if you’re driving into Port Canaveral, you’ll want to set up the Snooze Park Cruise package instead. Both bundles cover all of your accommodation and transportation needs for one low price. Just book your flight and we’ll have one of our transportation experts pick you up from the airport and whisk you away to your selected hotel destination. When you return from your cruise, we’ll take you back to the airport for your flight home. If you’re driving in, we’ll simply scoop you up from our parking lot and take you to the terminal. If you insist on skipping the hotel stay and decide to drive straight to your cruise, you can still save by booking through Go Port Canaveral. Cruise transfers are a lot less expensive than paying for parking by the day at the cruise terminal or other affiliated lots. Parking at the cruise terminal can cost upwards of $160 for a 10-day cruise. You can set up a transfer through us for a one-time fee of $10 per person (2 person minimum) costing you only $20 for that same 10-day cruise. How does it work? When you book a cruise transfer through Go Port Canaveral, you can park your car for free in a nearby lot and a shuttle will pick you up and take you to the proper terminal. When you return from your vacation, another shuttle will bring you back to your car. 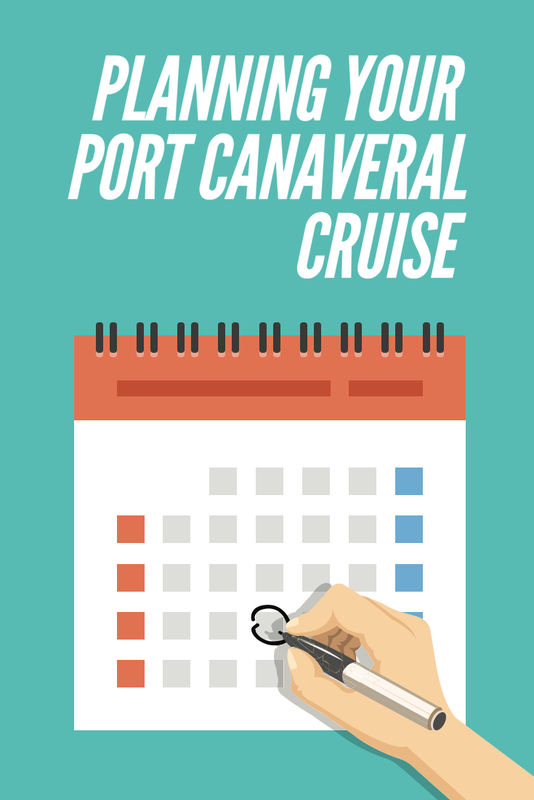 With any of these Go Port Canaveral packages, we will get you where you need to be, when you need to be there; And most importantly, to your cruise on time. So do yourself a favor, focus on planning the fun part of your vacation. Let us take care of the rest! Travel Tip for Flyers: The cruise lines usually begin debarkation at 7am and complete the process around 10am. Be aware of this when booking your flight back home. You’ll want to make sure your flight is after 12pm to prevent any travel mishaps. If you already booked an earlier flight, you’ll need to self-debark from your cruise ship and add express transportation to your package in order to make it to the airport on time. The express upgrade ensures you get a seat on the first shuttle that departs from Port Canaveral at 8am. If you have a later scheduled flight, we also offer hotel packages that provide use of hotel amenities at a nominal or no additional cost. That way you can enjoy your last day in the sunshine state relaxing by the pool, laying on the beach or even shopping for those last minute souvenirs. Now that you’ve gotten the cruise and travel arrangements out of the way, it’s time for the exciting part… Excursions! Half the fun of taking a cruise is exploring new port stops. Excursions are as much a part of the cruise experience as enjoying the onboard amenities of your ship. Cruise excursions cover all levels of activity and vary greatly depending on the destination. You’ll typically be able to choose between active or sightseeing tours that vary in length between half-day and full-day. 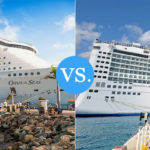 Now here’s the big question: Should you book cruise-sponsored excursions or venture off on your own? We’ll let you decide. You can skip the hassle of arranging your own onshore activities. You know the tour provider is licensed and reputable. You may meet other cruisers whose company you’ll enjoy back on the ship. And most importantly of all, your ship won’t depart until all of it’s tours have returned. You’ll often pay more just for the convenience of letting the cruise line arrange your day. Larger groups will most likely be involved when booking through the ship. And lastly, you’re stuck to their schedule. If you just want to wander around a new town, check out some shops or hit the beach, you may be better off on your own. Sightseeing cruise tours can often translate into time-consuming bus rides with drop-offs at shopping centers harboring souvenirs you “just can’t live without”. It would be much less expensive to grab a map and figure it our yourself. 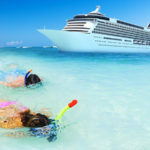 On the other hand, if you you’re looking to venture far from the pier or participate in physical activities, it might make sense to spring for a cruise-sponsored excursion. It’s also a wise decision to stick with the cruise line in any foreign port where the language or customs might be a barrier. Another option aside from a cruise-sponsored excursion or exploring on your own is to build a hybrid tour. 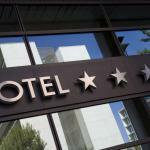 You can book in advance through a local provider and save money by eliminating the middleman. You’ll also be able to customize your trip. However, you do run the risk of getting stranded in port if your tour is late returning to the pier. The cruise ships will not wait for any passengers running behind schedule that are not on ship-sponsored excursions. Anything can happen when you’re on your own. A vehicle breakdown, car accident or traffic jam could cause you to miss the boat. Then you’ll be playing catch the cruise ship on your own dime. If you book through the cruise line, you can think of the extra cost as travel insurance. So what’s the secret to a wonderful day ashore? Plan Ahead. Make sure you learn about all the attractions in each port so you can make an informed decision on whether to book a tour or go it alone. That way you can plan the perfect balance of relaxing beach days, shopping sprees, sightseeing adventures and adrenaline-pumping pursuits. If you’ve done your research and decide that booking a ship tour is the best option, you’ll need to think about whether to book in advance or wait until you get onboard. With limited-availability, popular excursions can sell out quickly. So make sure to book any of those must-do tours in advance. If you’re uncertain about your options, you may want to wait till you get on board to avoid cancellation fees. If you decided to take our advice and book a hotel stay before your cruise, you may want to plan some activities to keep you occupied in the Port Canaveral area. Lucky for you, there are countless options; A few of which include visiting the theme parks, checking out the Kennedy Space Center, sight-seeing on the Orlando Eye, or simply soaking in the sun on Cocoa Beach. If you’re trying to go easy on the wallet, you can even entertain yourself without having to spend much at all. In fact, we put together this list of 5 Free Things to do in Port Canaveral. So for all you cruisers who have time kill in Port Canaveral before you set sail, don’t forget to check out the areas many attractions. This is the most important step of them all. Have fun! Now that you’ve pick out your perfect cruise, scheduled your flight (or mapped out your drive), booked your Go Port Canaveral hotel package and jam packed your itinerary, it’s time to sit back, relax and enjoy your cruise. 1 Comment on "Planning Your Port Canaveral Cruise"
Thanks for the interesting article about going on a port canaveral cruise. 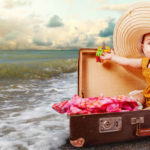 I didn’t know that it could be beneficial to plan a cruise transfer in advance. Definitely sounds like it could be worthwhile to learn and research some more about this transportation, especially to know what to expect or what services could be offered.